"I wanted the building to become a symbol of advanced manufacturing. Appropriate home for the world's best and brightest minds." Beck Science Center, a multi-purpose space for rental to High-Tech companies, located in Hi - Tech Park Mount Hotzvim Jerusalem, founded by the late Mr. Graham Beck, entrepreneur and philanthropist from South Africa, a man of big dreams: "I wanted the building to become a symbol of advanced manufacturing. Appropriate home for all the world's best and brightest minds. " Graham and Rhona Beck sought to fulfill a dream to create, in Jerusalem, a project of lasting value. The project is also the expression of the family’s identification with this city in particular, and with Israel in general. Beck Science Center was designed by architect Harry Brand given the importance of corporate image to the future tenants, their need for a dignified environment coincided with the owner’s vision of a high quality building and with an investment of $ 45 million. The total built area is 42,000 sq.m. The atrium, is the main public space and serves as a social and cultural center. Concerts, art exhibitions, receptions and conferences have put the Beck Science Center on the cultural map of Jerusalem. The building houses two of the famous works of french sculptor Auguste Rodin. 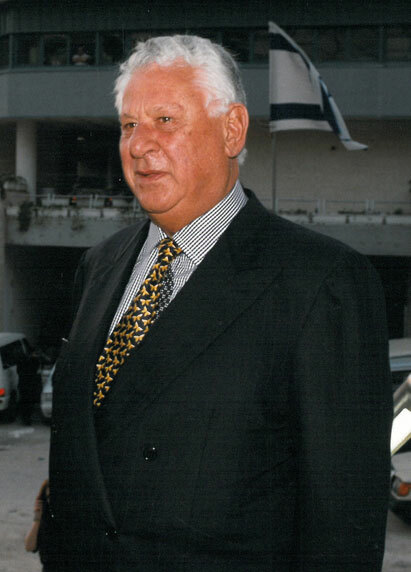 CEO of this unique building is Mr. Ehud Edelman.